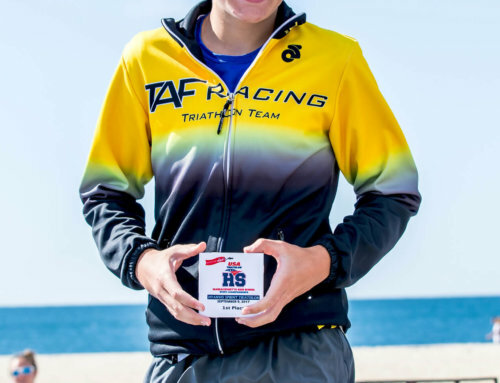 There are so many things going on for triathletes on Cape Cod all summer long! So for August we decided to change our format to hit upon all of the options we’ve detailed in earlier editions of our newsletter. Read it all below. The photo above? From Hyannis 1 Triathlon in June. Hyannis 2 is coming up soon, so don’t forget to register! – Sheep’s Pond has multiple weekly swims. Mondays at 5pm are taken by The Mermaids, an all-female group swim usually splitting into two skill levels. Wednesdays are group swims to which all triathletes are invited providing they have a current CCAC/CCTT membership. One group sets off at 4; the other at 5:15. All of these training sessions leave from the beach at Fishermen’s Landing (off Route 124 in Brewster). 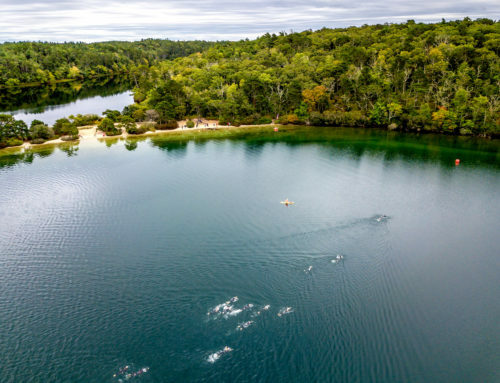 – Scargo Lake in Dennis has several triathletes, led by “Ecky” Eckerson, swimming at 7am on Wednesdays. Go to the beach on Dr. Lord’s Road. – Also on Wednesdays is a group swim at Hathaway Pond in Barnstable led by Steve Edwards. The entrance is on Phinney’s Lane. – Aquasafe of Cape Cod hosts various coached masters swim sessions at the Sandwich High School swimming pool. These are held every Sunday morning as well as super-early 5am workouts on Tuesdays, Thursdays and Fridays. 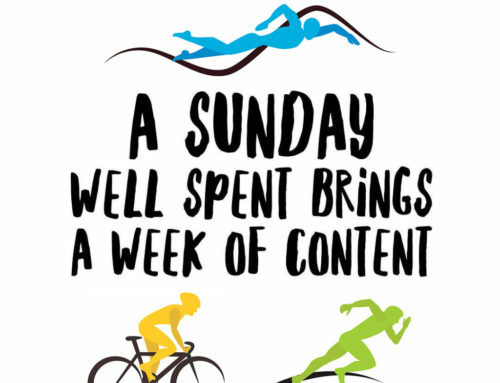 – Monday evening social recovery rides from Craigville Beach (Centerville) and Thursday night group rides from Kalmus Beach (Hyannis) start at 6pm. Both are sponsored by the Cape Cod Cycling Club. – “Rock Star Hill” repeats begin every Wednesday morning at 5:45am at Compass Athletics on Jan Sebastian Road in Sandwich. Off onto local roads the group bikes in search of the nastiest of hills. 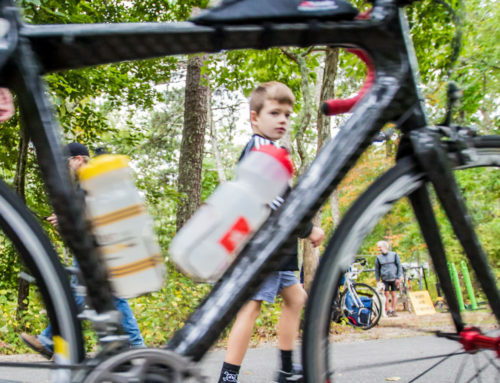 – Dusty Adams leads a weekly ride from the trailhead of the Cape Cod Rail Trail (on Route 134 in Dennis, just south of the Mid-Cape Highway) every Saturday morning starting at 8am. This is a ride meant for beginners and intermediates. 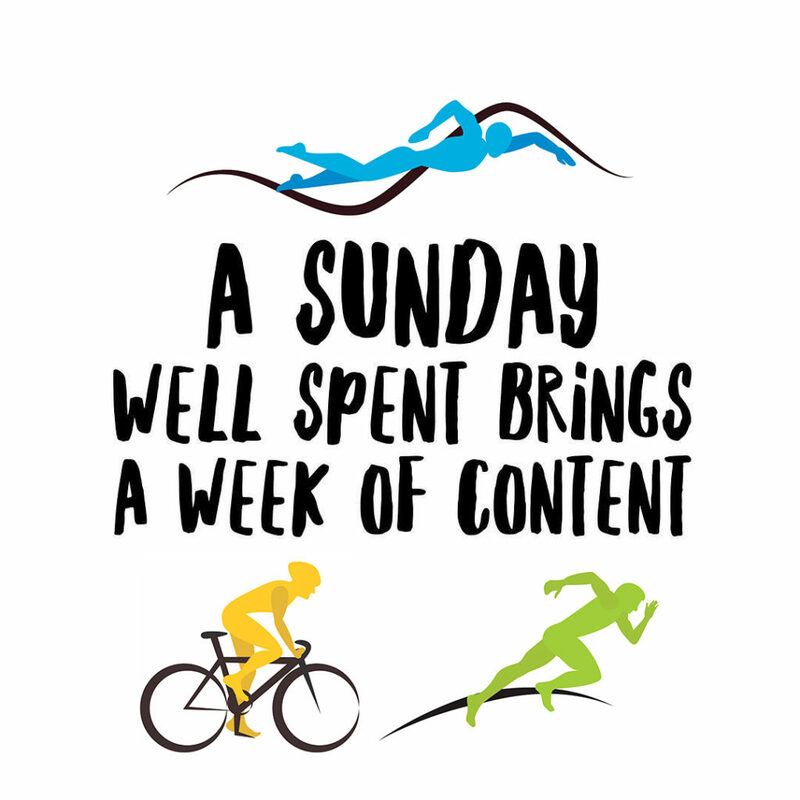 – The toughest group ride on the Cape leaves the Dennis Senior Center on Route 134 Sundays at 8am and works its way up to Hot Chocolate Sparrow in Orleans at 9 to pick up more riders, then heads up to Wellfleet and back. That last stretch is where the line stretches thin, but you can always turn around and follow the trail home. – A Mashpee-Woods Hole ride is held every Sunday morning at 7:30am from the parking lot of Mashpee Middle-High School. The scenic course is 33 miles loop, no-drop, 16-17mph average pace with a bathroom break in Woods Hole. – Cape Cod Beer’s Fun Runs are Mondays at 5:30pm. They start and end at Cape Cod Beer, 1336 Phinneys Ln, Hyannis. Your post-race beer is courtesy of The Cooperative Bank of Cape Cod. Also a bike ride starts and ends same place, same time. – The Cape Cod Athletic Club hosts several weekly runs on the Cape. One favorite is Tuesday’s Chatham Harbor Run 10k, starting at 5:30pm from the Middle School on Crowell Road. Runners of all speeds are welcome, however novices often join a smaller group who run or walk 4 miles starting earlier at 5pm. – There are two Wednesday track workouts on the Cape (that we know of). First is at Barnstable High School, 6pm, with Coach Paul Fendler. Second is at D-Y High School, 6:30pm, with Justin Torrellas. Either will bring you to a new running level. – There’s a very friendly 8-mile run on Thursday evenings in Harwich. Called The Harwich Ramble, runners meet at 5pm at the Brook’s Park Tennis Court lot on Oak Street (the same road that Monomoy High School is on). The route heads down the Rail Trail towards Dennis, then veers into the very pretty Bells Neck conservation area before working its way back back to Old Harwich Center. 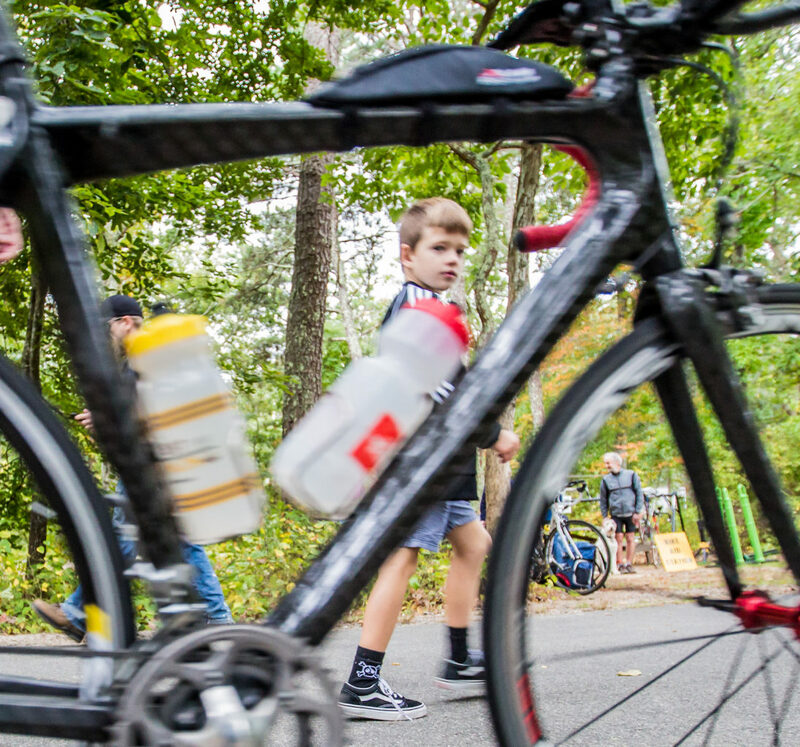 Once every season for a number of years now, the Cape Cod Triathlon Team has held a very informal fun race known as the Formula One World Championships. 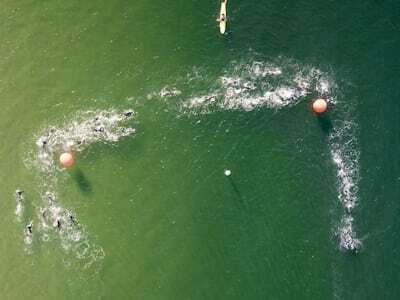 Based on a variant that came out of triathlon’s early years — and somewhat similar to the new super sprint format which will come to the next Olympic Games — the task is to swim 300 meters, bike 7000, run 3000…then go back in the water to do it all over again! 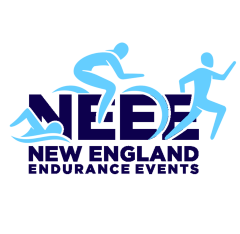 Sponsored by New England Endurance Events. The 2018 championship race will be held this Sunday (August 12) at 7:30am. Arrive early enough to register and get your gear together. There will be prizes — including the coveted Turtle Award (last place). Required: All racers need to be members of CCAC/CCTT for insurance reasons. Not a member, or forgot to renew for 2018? Membership forms will be available at the site and the annual fee is only $20 (slightly more for families). Additionally, small donations are suggested for the lifeguard expense fund. Directions: Long Pond Beach is located on Crowell’s Bog Rd. in Brewster, near the Harwich line. Take Exit 10 off the Mid-Cape and head north a couple of miles…Crowell’s Bog is on the right. Beach is a quarter-mile in, again on the right. Remember! This is an informal race. There are no road closures and (small) signs will be at all corners but you must assume some responsibility to be alert for traffic and for turns. While there will be some nutrition and water at the race, bring your own fuel! 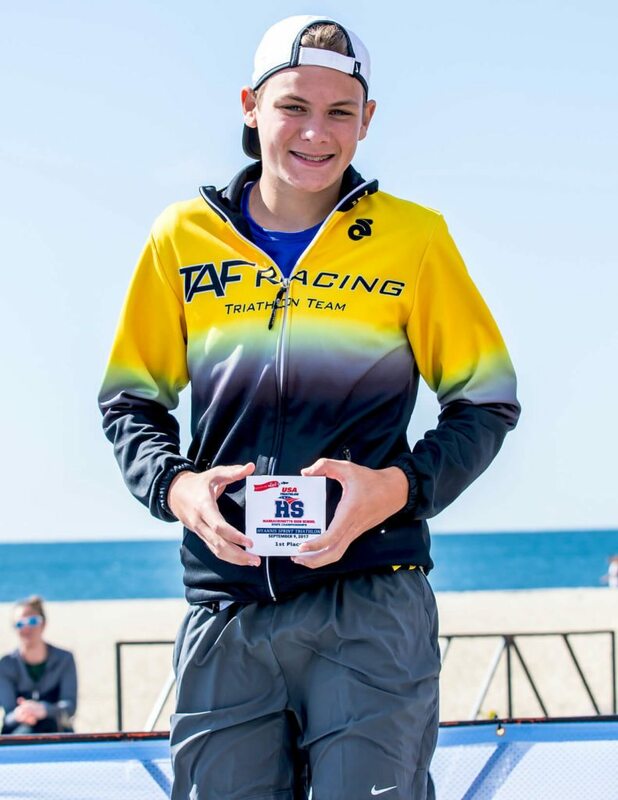 The second Sprint and Olympic triathlon of the season at Craigville Beach has already surpassed the field size of the June race. It should be a great day to see what you’ve achieved with all those summer workouts! Pricing for Hyannis 2 is now at its final (highest) level but we love our Cape Cod triathlete friends and want them to enjoy the lower rate that existed before the latest hike. So for the next two days you can register with the code CAPECODDERSRULE and receive the pre-August price. Don’t delay! 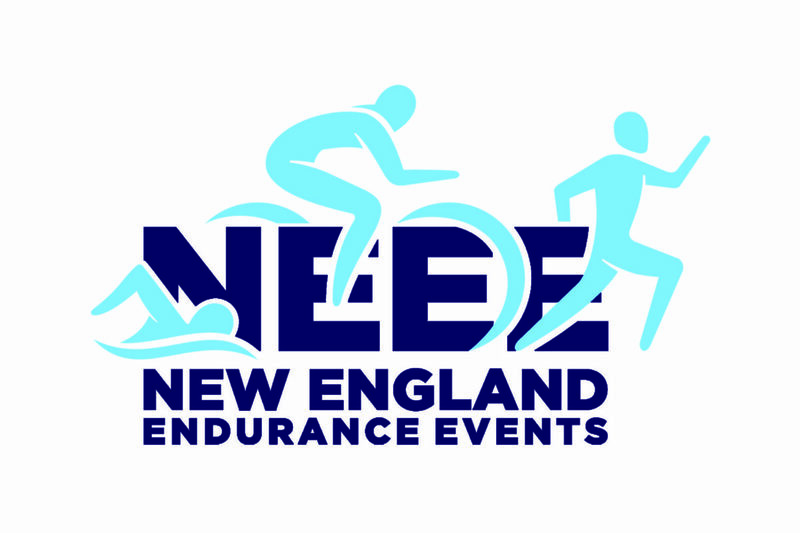 New England Endurance Events is pleased to be the Southeastern Massachusetts presenter of the feature documentary, “We are Triathletes,” at the Regal Cape Cod Mall Stadium 12 cinema on August 8. This film follows six triathletes from four countries as they train and prepare for the world’s largest long distance triathlon race: “Challenge Roth”. The history of the early days of Ironman triathlon is also told by several Ironman legends. Among those featured is three-time Ironman World Champion Mirinda Carfrae, a friend of NEEE who joined our booth at last March’s Racemania Expo.